Whether you’re in an older-style home or a new home, Locksmith Monkey can help throughout your residential property with a range of services including upgrading your door locks, repairing damaged locks, broken key extraction, re-keying locks and much more. Our experienced team are on hand 24/7 to offer residential locksmith services across Portland including same day service, booked locksmith services and emergency locksmith services all via our mobile locksmith vehicles. 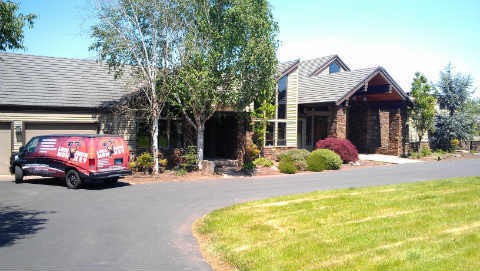 Find the reliable locksmith service near your location, including Aloha, Battle Ground, Beaverton, Camas, Clackamas, Fairview, Gresham, Happy Valley, Hillsboro, Lake Oswego, Milwaukie, Oak Grove, Sherwood, Tigard, Troutdale, Tualatin, Vancouver, Washougal, Wilsonville, West Linn, King City, Oregon City. In emergency call out situations, we can respond to your call in as little as few minutes and be at your Portland home quickly to secure your property and repair or replace on site as required. Locksmith Monkey has been in the business for over 10 years and are fully licensed, bonded and insured to offer the latest residential locksmith technologies to ensure your property, belongings and family are safe and sound. If you’re about to move into a new home or you have faulty locks, it’s important to seek the services of a professional locksmith to ensure your family is safe in your home. Locksmith Monkey are the Portland locksmith experts and available 7 days a week 24 hours a day to install, repair and service locks and security throughout your home.